Prof.A. 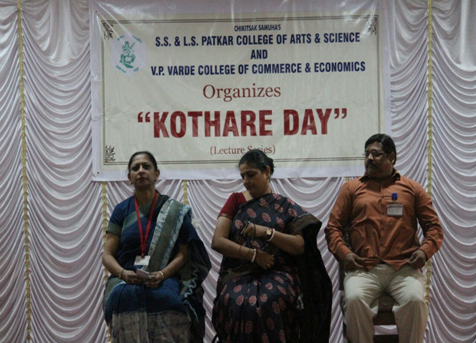 N. KOTHAREDayis celebrated in the College every year, in memory of the First Principal of the College. 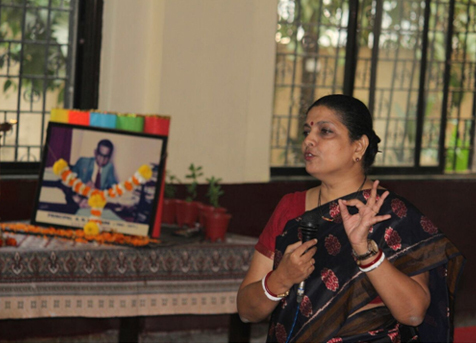 An eminent speaker is invited each year to speak to Staff and Students about issues ofcurrent and scientific interest. This year Kothare Day was celebrated on January 23, 2018. 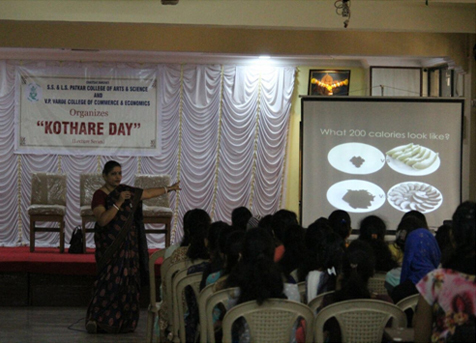 Mrs. Anuradha Mitra, Head, Department of Foods & Nutrition & Dietetics Nirmala Niketan College,& Member of Nutrition Society of India, was invited to speak on ‘Healthy Eating for Adolescents’. This topic was thought to be of importance to Students as well as Staff, especially because of the current trend towards junk food and unhealthy eating habits. 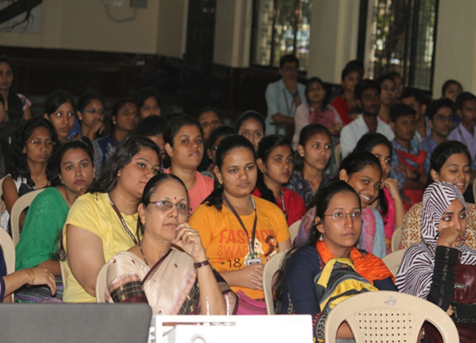 Staff and Students found the lecture interesting and informative.